AI War Beta 5.074-5.075 "Focused Forces" Released! This one includes some key enhancements to the base game we wanted to get in with enough testing time left before 6.0. Players have been telling us for a while that the AI's Special Forces units were basically... irrelevant. They used to be far more significant but many changes over the years have resulted in a mechanic that just doesn't make a lot of difference in most games. So we rewired it. Now the galaxy's AI Special Forces will act as a sort of defensive response force, pushing back whenever you attack a planet the AI cares about (which is not all of them). In testing this produced a pretty cool feeling of maneuver and counter-maneuver, but as always we'll really see if it works out when the players get their hands on it. I think it's a step in the right direction, at least. Speaking of AI defense, here's another thing the players have been asking for: now each AI planet picks three typs of ships to "focus" on when spawning reinforcements. In one sense this reduces the distinct number of ships you're likely to encounter in large numbers in the midgame (in the early game they still start with the same distribution as before), but actually increases the gameplay variety as each planet's mix will be different. Mere balance changes seem mundane compared to mechanics changes like the above, but there are some pretty important ones to starships and the triangle: The six "combat" starship lines have been given another balance pass. K costs are now more in line with what you're getting, notably. And the fighter is now faster than the bomber was (and the bomber slightly slower) and has more of a role on the attack due to several guardians being switched to hull types that are vulnerable to the fighter. All in all, none of the balance changes are earthshaking, but they're one more step in the right direction. The release has a couple bugfixes, as well. Update: 5.075 hotfix is out to fix an array-index-out-of-bounds error in what I did to the AI reinforcements logic. Also made the focused-reinforcements logic apply to initial ship seeding, which should make at least one player happy. AVWW Post-Release 1.207 "Double Lightning" Released! There are really a lot of good things in this one. For one, the new spell is just made of awesomesauce: it's easily my favorite spell ever, just for the visual effect alone. But it's also really fun to catch multiple enemies in your cloud of lightning when you can. zebramatt suggested the idea as a fire spell, but since other players were pointing out the lack of air-element spells I thought this one would do well to fit both needs at once. Next up we have yet another 100 rooms thanks to Benmiff. He. Is. A. Machine. It's no question now that well over half of the room maps in the game are now created by him; it might be closer to 2/3 of them now, I'm not sure. And we had hundreds to start with! The name "double lightning" for the post comes about because of Lightning Storm (the new spell mentioned above) plus lot of heavy changes to Lightning Rocket. Mainly it now moves way faster and drains the mana faster also. That makes it sort of like a super mega jump, rather than a slow ride upwards. Boy oh boy, is that fun. Ulrox really had a great idea with those changes, it's almost like a new spell. AI War Beta 5.070 "The Once And Fortress King" Released! This one adds two new bonus ship types: the Zenith Reprocessor, and the much-anticipated Zenith Siege Engine. The latter has to stay immobile for 15 seconds before firing, but it hits like a truck once it does. A truck loaded with plasma torpedoes, that is. Another long-requested change, from the top of the mantis voting page: the Clusters map type. In a way, it organizes the galaxy into 2 to 6 smaller units, each of which only has a few connections to other clusters. The name of this release, however, comes from the new AI Type: the Fortress King. Fortress Baron not enough for you? Well, here you go. There's a small mercy included: AI planets bordering your homeworld (unless they're somehow AI homeworlds) will only have the normal command stations. All the other Fortress King planets will have mammoth modular fortresses (that eat bombers for breakfast) that function as command stations. Each one rolls its modular armament separately from a set of templates, so it adds a bit of variety to how your fleet will be (repeatedly) eaten. Update: 5.071 hotfix is out to fix several bugs with the Fortress King AI type. Also fixed some other issues and packed in some further changes to CPAs and some funny business involving barracks. We'll be one of the 30 developers making up the incredibly amazing Indie Mega Booth (just look at all those notable developers and good games). We got to know a lot of these guys at PAX East, and we're excited to be a part of the massive collection of indie game exhibitors this time around. Specifically, I'll be located in booth #868 sharing space with the awesome folks of 24 Caret Games--developers of PS3 title Retro/Grade which just arrived this week on PSN. As noted in the trailer below, A Valley Without Wind will be playable. There may be some new artwork stuff to showoff there as well. I'll be chatting up the Ancient Shadows expansion with those who want to talk about it, but I doubt anyone would get much out of a short floor demo for a game like AI War. We're also planning some giveaways of our titles both on-sight and online; plus we may have something else to debut. Not sure yet, we'll see. On top of that, I'll be heading up the 'Open Development for Indies: Why Cooperative Trumps Competitive' panel with a handful of other indie devs in the Serpent Theater, 3:00 PM on Sunday (September 2nd). If you're interested in indie development at all, or if you just want to say hi, make sure not to miss us in the afternoon during the final day of the conference. If you want updates on what we and all the other devs in the mega booth are up to, or if you just want to support us all in general, the Indie Mega Booth Facebook and Twitter stuff is a go. *That goes for both press and attendees. 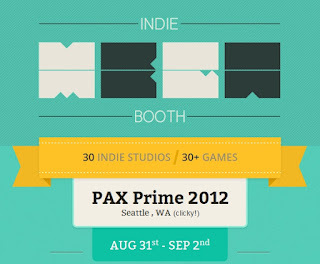 If you happen to be media and are interested in our Indie Mega Booth press kit, head here. 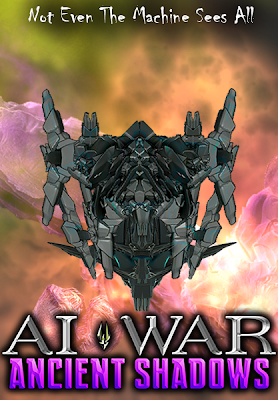 AI War Beta 5.068-5.069 "Old Enmity Reclaimed" Released! This one adds another scenario that can be seeded in a nebula. The usual goes with it: more champion hulls and module lines are possible as rewards. There's also a couple new abilities that can be unlocked through nebula rewards. Also added keybinds to make champion direct-ability-use easier, now that it's a thing. Basically Ctrl+Q to use your first ability, Ctrl+W to use your second, and so on, though you can only get 2 on any one champion right now. If you prefer the Q,W,E,R (without holding Ctrl) method, you can change the binding and it will only apply when you have a single champion selected so it won't interfere with the normal zoom-functions of those keys at any other time. There's also a few other miscellaneous changes and fixes, as usual. Update: 5.069 hotfix is out to fix a bug where only the most-recently-added scenario was being seeded in nebulae. What do you mean, "did you leave testing code in, Keith?" Have I ever done such a thing? ... um, yea. Anyway, a few other important fixes in there (like preventing minor-faction ships with plasma-siege shots from "helpfully" killing forcefield-protected AI command stations for you) and a long-needed buff to CPAs on higher difficulties, though we probably aren't done on that front. AI War Beta 5.064-5.066 "Abilities Unlocked" Released! This one adds two more bonus ship types for the Ancient Shadows expansion: the Neinzul Scapegoat and the Spire Railcluster. The Scapegoat has a one-shot version of the Regenerator Golem's ability (only works on fleet ships) and I expect to hear tales of absurd exploits and thus have to nerf it, but have fun figuring them out ;) The Railcluster isn't as unique as the Scapegoat or the others added thus far for AS (the medic frigate and the tackle drone launcher) but in another way it is unique: it's the first "Spire fleet ship" that's purely oriented towards straight-up combat. It shreds little stuff particularly. If you play versus the new "Heroic" AI Type, expect to see some now-familiar toys getting thrown back in your face. The AI's champions are much simpler than human ones (no nebula travel, XP gain, etc) but they come with nasty modules (from a randomly picked template, for variety) and should spice things up a bit. The interface for managing the modules has been pretty schizophrenic with both the normal build-queue method and the specialized "ship design window" method because the champion's situation is so unique. So now it just directs you to the ship-design-window method for champions, with a settings toggle for getting the old build-queue method back if you really want it. Feedback on this would be quite welcome. Finally, another tab has been added to the normal HUD you see when you have a champion selected: in addition to the "MODS" tab (which used to hold the build queue stuff and now is just a shortcut to ship-design) you now have an "ABILITY" tab. You'll only see one ability there right now (a neinzul champion gets a different one) but the idea is that they spend a newly-added champion resource: Shadow charge. It was part of the original design but I'd gone back and forth on whether it really made sense to have directly-triggered abilities in this game. Since then player feedback has made it clear that it really would help make the champions feel more interesting to use, so here we go. Update: 5.065 hotfix is out to fix a bug where Shadow Charge was accumulating without cap, and a few nasty UI bugs with the ship-design tab. Also revised the bomber-drone balance change. Update: 5.066 hotfix is out to fix a UI bug when trying to open another player's champion in ship-design. Would generally only come up in singleplyer games with multiple champions, but it's pretty annoying in that case. Update: 5.067 hotfix is out to fix a bug where nebulae past the third or fourth were not generating scenarios, and a few other bugfix/balance changes. 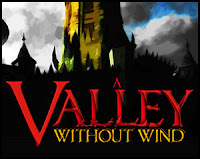 On the heels of A Valley Without Wind's latest post-release beta update Steam is offering the game at 50% off today only as a Daily Deal. Meaning you can pickup both the individual game and/or the four-pack for half the price! If you've been out of the loop for a bit, AVWW is undergoing a major art rework that will be offered later this year as a free update for all owners of the game. So if you've been on the fence, now's a great chance to dive in on the cheap; especially when you couple the upcoming overhaul with the improvements/additions already made from 1.0 to 1.2. Offer ends tomorrow at 10 AM Pacific Time. A PC demo is available on the game's Steam page, while both PC and Mac demos are offered on our website. 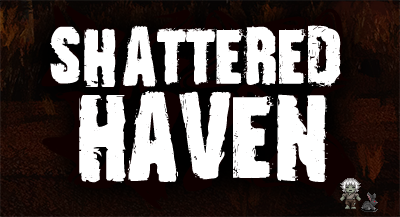 Since I've been working on porting Shattered Haven to the new engine, plus working on getting the AVWW art revamp project off the ground, that's really been quite a time drain for me so far this month. Thus I missed doing an update last week, and we have an extra-awesome one this week instead. Included here are a new spell scroll, a new guardian power scroll, and some refinements to how you get guardian power scrolls. These are pretty cool, because it makes most of the guardian power scrolls easier to find via secret missions. And both the new guardian power scroll as well as the spell scroll are centered around making it easier for you to cycle out missions that you don't like, to instead get missions that you do like. There are also changes to make mood gifts for survivors easier to find, and the game is now more explicit about warning you that you'll need to enlist the aid of your survivors to take down the overlord when this is the case. In the past sometimes that could go unnoticed until it was time for the showdown, and then it was tedious to try to get all your survivors updated at once (of course you can just down the citybuilding difficulty if you find yourself in that situation, but better is to have the importance of that activity clearer earlier). We added another 100 player-made maps, and we also made it so that the "only works during the day/night" modifier for spells is no longer an all-or-nothing affair. Instead it just reduces your spells' effectiveness during the offending period, which should be a lot more palatable. Lastly, the new spell that was added this week is called Water Dash, and it lets you run at a higher speed in water while also floating upwards in the water. That's a pretty cool addition especially for the ocean areas, since this effectively lets you swim upwards at certain angles rather than having to always use crates or wooden platforms. This one adds the first two bonus ship types of the Ancient Shadows expansion: the Zenith Medic Frigate (from one of RCIX's ideas) and the Tackle Drone Launcher (we invented that pain ourselves). Both boldly fill roles where no fleet ship has filled before. Particularly the "push the enemy's ships around like a jerk" role. This update also adds a third nebula scenario, another step towards the kind of variety we want for champion "offroad" gameplay. This scenario introduces a second Neinzul splinter faction, but it takes a bit of a backseat to the player in this scenario. 5 more champion hull types have been added, including the next size-step up from what's been available previously. There's also 4 new scenario-unlocked module lines for champions available, all of them at least a bit off the wall. Oh, beating the new scenario can also unlock the Neinzul version of the Modular Fortress. It's pretty similar to the human one right now, but as fortress-versions of some of the champion modules get implemented there'll be more distinction. There's already a pretty big one: the neinzul fort doesn't have multi-repair, but it does have the MkI Cloaker Starship's ability (no, it doesn't cloak turrets, turrets are immune to cloaking ;) ). Several bugfixes and a few balance changes round out the update. Notably, MkV Younglings no longer self-attrition, making their fabricators far more useful. Update: 5.062 hotfix is out include the language file updates I accidentally omitted from 5.061, sorry about that! The AI War: Ancient Shadows beta kicked off this past week, and already we're seeing some great coverage coming in for the expansion. The latest update is out now, offering the first major content release on top of what was initially packed in. As far as getting the expansion to work with a Steam copy of the base game, you only need to download the installer and point it to the AI War folder in your Steam directory. We've been fielding that question a good amount over the past few days, so thought I'd share that bit of info here. We haven't reached out to Valve yet in regards to bringing Ancient Shadows onto Steam, but plan on it when the expansion is closer to being feature complete. Big thanks go out to these folks for taking the time to write about us! This one is the first substantial content addition since the initial beta release of our new AI War expansion pack, Ancient Shadows. This update adds a second scenario that can be seeded in a nebula, beginning the move towards much-needed variety for the champions' "offroad" exploits. This scenario introduces three new splinter factions (one zenith, one neinzul, one spire) with 16 units between them. A couple new champion hull types are possible as rewards (no, not larger than the ones previously available, but we're getting to that), and 5 new scenario-unlocked module lines for champions are available. Not all champions can use all modules, but it won't give you a module line you can't use at all. There's also a variety of other bugfixes and some balance changes (notably to part of the AI's reinforcements logic, since reinforcements have been so low lately). Update: 5.059 hotfix is out to fix a bug in the 5.058 reinforcements changes that caused AI reinforcements to go Stark! Raving! Mad! Thanks for letting us know about that one, though the AI looks sad now. Update: 5.060 hotfix is out to fix a variety of bugs (some recent, some longstanding. Nothing critical, but some moderately severe (for Fallen Spire particularly) wanted to get these out before starting on any bigger chunks. We waited longer than usual to start the preorders and public beta for Ancient Shadows because we wanted to get the anchor feature to a playable state, and it's pretty complex under-the-hood. So, what's the anchor feature? Champions! A bit of background: neither Chris nor I have been all that happy with the way RTS games usually do scripted campaigns or hero units. The concepts are quite compelling, however, so it's a matter of finding a different way. In the Light of the Spire we did the Fallen Spire stuff as our take on dropping a scripted campaign into our emergent-campaign world of AIW. It was a pretty huge hit. Well, in Ancient Shadows we're doing Champions as our take on bringing hero units into AIW. Basically, with the Ancient Shadows expansion, you can now set a player to the "Champion" role and instead of a home command station and all the usual stuff a player starts with they get a single modular ship. But what a ship. At the beginning it's basically a super-starship that's pretty powerful but nothing world-shattering. But it can gain experience, and with experience it can upgrade modules. More importantly, the champions can travel to new parts of the galaxy that no normal ship can get to, and interact with the splinter factions of Humans, Zenith, Neinzul, and Spire that are found there. Successfully helping a splinter faction can (among other rewards) unlock whole new lines of modules and even new and bigger hulls that your champion can switch to. For the lore-inclined among you, these "offroad" scenarios also reveal more of the backstory through journal entries. * A large amount of new music (to be released when the expansion fully launches, you'll need to download the final installer to get the music, it won't be delivered via update). Once you've updated to 5.052 (or whatever the latest beta version is when you read this) you can use the Ancient Shadows installer from here and demo it in trial mode or go ahead and pick up a license key here. Update: 5.054 hotfix is out to fix a fairly critical bug where some champion-related data was not being cleared between games (leading to unhandled exceptions in some cases, MP desyncs in others, bad stuff), and also improving the champion-related UI a bit. Going to try something tomorrow to deal with the moderately intractable lobby-UI confusion going on right now, but wasn't time for it for this release. Update: 5.056 hotfix is out to add a "Normal+Champion" role because the previous model of requiring "1 Normal Player + 1 Champion Player" for using champions in a singleplayer was... really, really bad. I should never have expected that to fly, sorry ;) The old champion-only role is still available because it does have uses (more than one champion in singleplayer, and champion-only players in multiplayer) but its tooltips and related text have been changed to make it a lot clearer that you should use Normal+Champion if you're trying to use champions in singleplayer. 5.056 also has a bugfix and a few key UI-clarity improvements related to building and upgrading champion modules. Thanks for the ongoing beta feedback! AVWW Post-Release 1.204-1.205 "Bubbles 'Round The Campfire" Released! This one is continuing our trend of adding a new spell and other new tweaks each week while the game is undergoing its art revamp for the next few months. Since I was out on vacation last week, I obviously didn't add any new spell last week. So this week there are two! Campfire is a new trap-type spell, which players have asked for for a while. Rising Bubbles is kind of a similar idea, except the bubbles float upwards -- and you can jump onto them like a wooden platform, if you want! Rising Bubbles is particularly interesting to me because it can be used both in a movement/logistical sense, as well as for combat purposes. There are a lot of spells that we have that are affected by gravity in the downward direction, but this is one of the first that we have that actively floats upwards instead. Also included in this release are a huge number of new player-made room templates. BenMiff has created another whopping hundred room templates, and Lavacamorada has also added 10 really cool room designs. A huge thanks to both of them! UPDATE: 1.205 fixes a minor-but-annoying bug in the prior version.